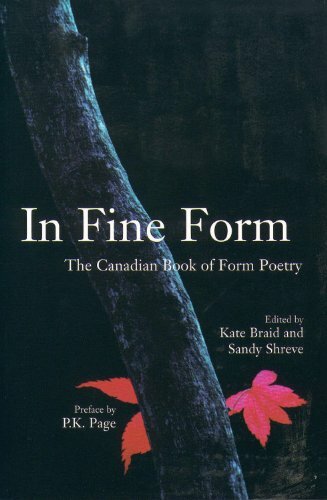 When Al Purdy's collection of poems lost out in the latest Canada Reads, I went all preachy and basically said that it was Canada's own fault that poetry isn't more widely accepted- it certainly wasn't the fault of the poets themselves. Then I went and read Sharon Thesen's "The Broken Cup" and... well, some poets are to blame. Now I'm not saying I'm the world's smartest man, but I do have a couple university degrees under my belt and if I can't understand some of Thesen's vocabulary, what kind-of supereducated group was she writing for? It's not that I feel I should know every word in every poem. I'm not against looking up a word or two here or there. Heck, it might even increase my "Increase Your Word Power" score in the next Reader's Digest. Case in point: "Bits of prosody fall near..." Bits of what? According to Wikipedia, it's something to do with speech patterns in linguistics, or metrical patterns in poetry. "Big holes through obdurate patterns..." Oh, obdurate patterns. Say what? According to FreeDictionary.com, "obdurate" has something to do with "stubbornness". Then there's "bardos" and "comfrey" and I just don't want to increase my vocab that much, especially when I'm trying to enjoy a poem. Likewise there's such high-falootin' phrases as "Like certain music/ refuses transcendence" and "fatal tedium". That last one just about sums up the whole poem for me. Fortunately, along comes a wonderful poem by Steven Heighton entitled "Blackjack". This is certainly not the stereotypical poem topic. Heighton is even courteous enough to acknowledge that perhaps not everyone is familiar with the game and before the poem begins, he gives the definitions of "hit" and "stand" as they pertain to the game. But even though the poem isn't bogged down with overly academic words, it is no less intelligent (I'd argue that it's more so). I know that a lot of poets, because of their job, might have a larger vocabulary- afterall, words are their bread and butter. But if they're only going to choose other poets as their audience, there's no right to complain when people like Scott Thompson run away from it. Heighton's "Blackjack" poem, like Purdy's poems, shoot for a larger audience and in my opinion, are better for it. Speaking of form poetry, Sure b'y has introduced me to a wonderful form created by Gregory K based on the Fibonacci sequence. I like the potential of it- especially with it's slow start and sudden leap in speed or tension or whatever the poet chooses.